Philip Volkers, one of the UK’s most celebrated photographers and official photographer for Burning Man, has spent 10 years capturing the raw magic and allure of the festival. ‘Dust to Dawn’ is his new art book, fully sanctioned by Burning Man, showcasing a truly captivating collection of images. Festival goers join in the effort to co-create Black Rock City, a temporary metropolis featuring modern and high-tech art installations sat amongst the salt flat landscapes of the desert. The people that visit the festival are in themselves extraordinary, and fully indulge in the freedom that Burning Man offers. The community of the festival is very important and is a key theme in Philip Volkers book. 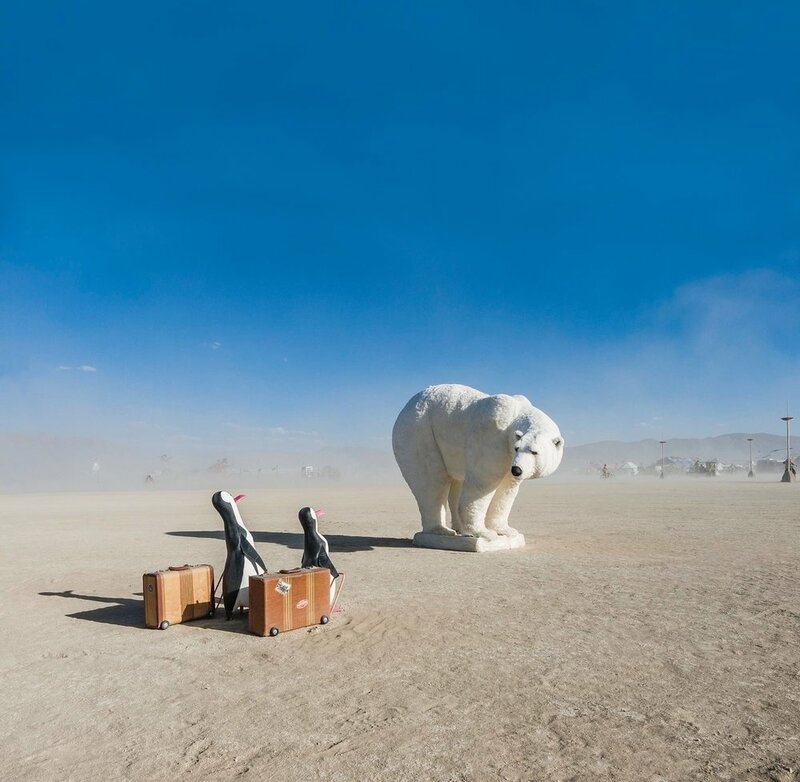 Located in the Desert of Nevada, Burning Man is not a friendly environment for photographers. The images collated in this book are not only a fascinating celebration of the festival, the art and the people, but also an accomplished photographic adventure. To coincide with the launch of the book, there will be an exhibition of carefully selected pieces at the Bermondsey Project Space, 11th - 15th September, before touring to the Lucy Bell Gallery in St Leonard’s. Philip Volkers admits he has ‘always had a fascination with human gatherings’ and Burning Man is one like no other. ‘Dust to Dawn’ challenges the common misconceptions of the festival and instead encapsulates the magic and meaning behind it, more than words ever could. Preview Saturday 22nd September until Saturday 20th October, Gallery open Tuesday – Saturday 11am -4pm, Sunday 1pm – 4pm.